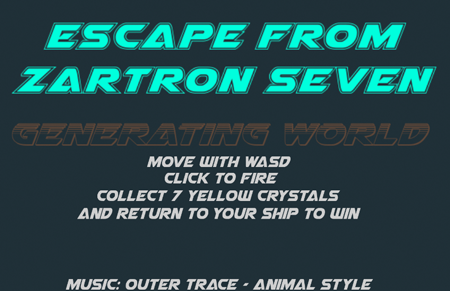 Escape From Zartron Seven was my entry into the Women Are Too Hard to Animate Jam (WATHTAJAM). The rules for the jam were simple: it had to feature an animated female protagonist. 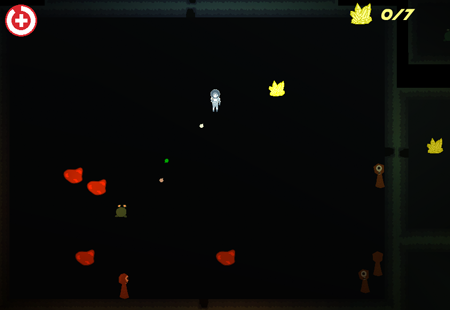 At the time I was getting more and more interested in procedural level design, and decided to make a top-down 2D shooter where the levels were split up into rooms, and the game had the same goal, but a different layout every time, much like old roguelikes like Nethack. 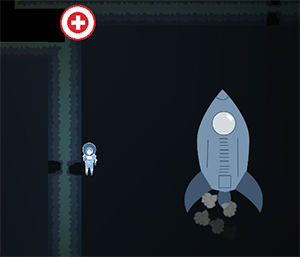 I was going for a retro-space-age feel for the game assets, and used Flash to animate the main character and all of the active enemies. 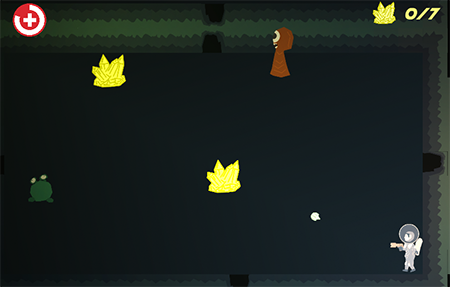 This was an experiment, because I hadn't used Flash's spritesheet generation before. It worked relatively well, though, given the short development timeframe.